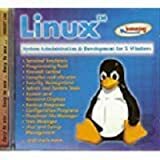 Shop for Linux Programming Software. 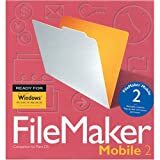 Users of FileMaker Pro 5.5 and 6.0 can view and modify their database files on Palm devices with FileMaker Mobile 2.0. It's not for novice Palm users, as it requires an intermediate level of comfort and familiarity with handheld systems, but once grasped the interface is clean, simple, and low maintenance. Installing and syncing files is quick, though the file-selection and syncing functions are separate and hard to find at first. Users will appreciate the easy access to most data records. Some types, such as multimedia, can't make the transition to handhelds, but contact information, history files, and practically anything text-based will cross over quickly. Sorting and retrieving records is painless, and changing records on the fly is almost as simple as using the desktop. Sadly, it's not yet possible to beam database information between Palm devices. JBuilder is the core of Borland's complete solution for the development of Java applications. JBuilder enables development teams to reduce development costs, deliver consistently high-quality applications, and reduce time-to-market. From within the JBuilder environment, a developer can manage the entire application life cycle, from design to deployment. JBuilder 7 Enterprise takes Java development further with a complete development solution for designing, coding, and deploying industrial-strength enterprise Java applications. JBuilder 7 Enterprise makes EJB, Web, XML, and database application development easier with two-way visual designers and rapid deployment to leading J2EE platform application servers, including BEA WebLogic, IBM WebSphere, iPlanet, Oracle9i, and the integrated Borland Enterprise Server. Enhance developer productivity and take advantage of extreme programming with UML code visualization, refactoring, and unit testing. Develop and deploy applications on the Windows, Linux, Solaris, and Mac OS platforms. Integrate with enterprise build processes using Apache Ant. And efficiently collaborate in teams with support for leading version control systems. System Requirements: Linux Kernel 2.2.0 and above, X11R5, CD-ROM, 64 MB RAM. Includes Terminal Emulators, Programming Tools, Firewall Control, Compiler and Libraries, Security Management, Admin and System Tools, System and Resource Displays, Backup Programs, Configuration Programs, Graphical File Manager, Task Manager, User and Group Management, etc.